world showcase | Je Me Souviens-To Infinity & Beyond! Wine & Dine in Walt Disney World…Yes Please! I am registered for a second RunDisney event! On November 9, 2013, I will be running in the Wine & Dine Half Marathon in Walt Disney World! My friend Teresa and I are going to be running it together! Her and I worked at Badgerette, went to the same university, and coached a JV Pom Pon Squad together. This will be her first ever half marathon. The timing worked well since we have a Friday-Monday off of work that weekend for Remembrance Day. All it took was a couple late-night discussions, a check of AirMiles flights available for myself, and we registered and never looked back! 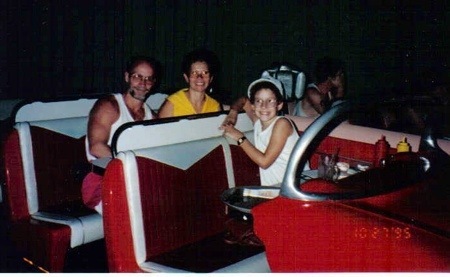 In the spirit of this race, my entry today is talking about my family’s history of Disney ‘wining and dining.’ Now, I have never been to the official Food & Wine Festival at EPCOT yet, so this will be a Disney first for myself. 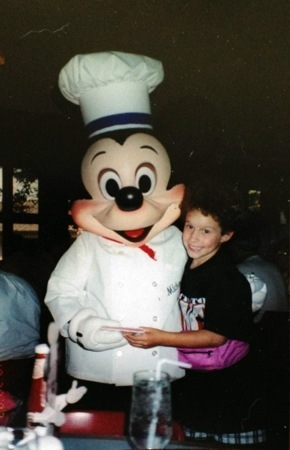 But since our first trip in 1991, we have wined and dined our way through WDW, and I think it is safe to say that our level of dining has possibly increased over the years…. Take this first photo. 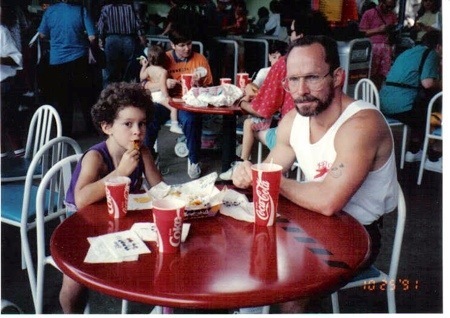 Here I am at age 7 during our first trip indulging on some tasty nachos at MGM Studios. Not exactly first class, but it was a start. Now, this is more like it! October 1993. 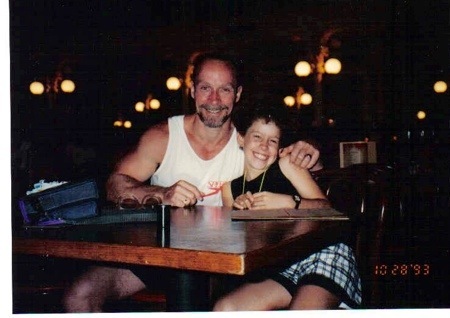 Here my dad and I are at Rose and Crown Pub in the United Kingdom pavillion at EPCOT. Me running in the Wine and Dine Half Marathon is perfect since EPCOT has always been our favorite of the parks. 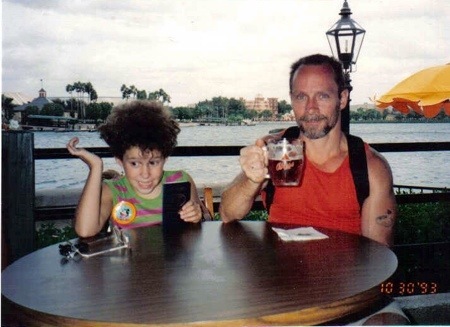 While my dad is clutching his beer, I am clutching my EPCOT passport, which I still have! I already loved this park, but it was a way to encourage a kid to go into each country (for their parents’ sake). At each country, one of the workers would sign and stamp the corresponding page in the passport, usually writing something in the country’s language. They now have tons of other activities like this at EPCOT but this was one of the first ways Disney attempted to get children more interest in World Showcase. Love it! Also in 1993, we trekked over to Disney’s Fort Wilderness Campground for the Hoop De Do Musical Revue! 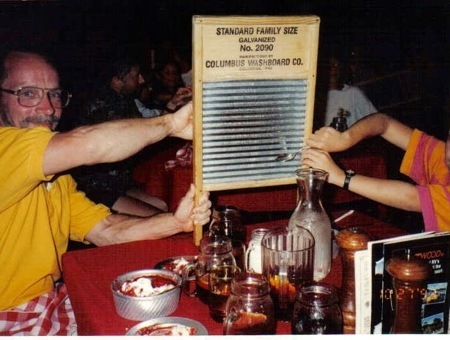 Sangria and beer was the beverage provided to adults, and washboards were used for audience participation. And the second photo was at Diamond Horseshoe at Magic Kingdom. Back in the 90s, you had to book a reservation for this show at guest services in the morning. Lunch was also served during the show. The show does not operate anymore and the building space is occasionally used during high-traffic seasons for a quick service dining location. We were fortunate enough to experience this attraction while still in full operation! It was in the year 2000 that we started to kick it up a notch.. Here are my parents at California Grill on the top floor of the Contemporary. 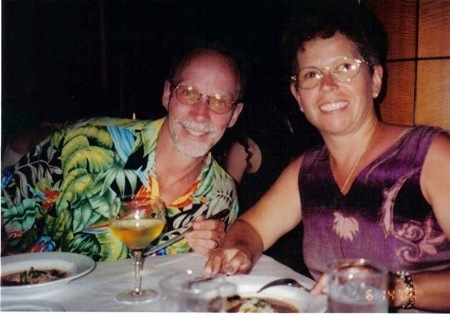 We were celebrating their 19th wedding anniversary. This was our first Disney meal of this caliber. And we got hooked. It was a great dining experience, and being able to view the fireworks from the rooftop deck was the best way to watch. We plan on going back to California Grill this January after the marathon weekend. They are closed right now for refurbishments so I can’t wait to see what it is like! During our last family trip to WDW in 2003, we revisited a tried and true favorite-Teppan Edo.. In the Japan Pavillion in World Showcase, this dining experience features the teppan chefs preparing your meal on the grill in front of you. It is always a fun time and the meal is also awesome. 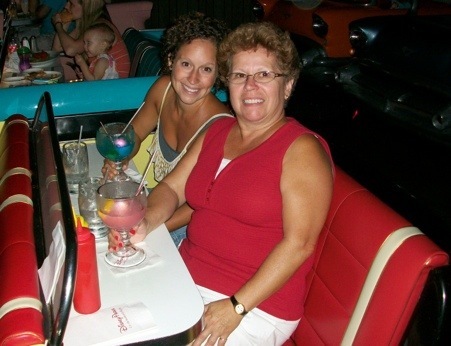 We went to a lot of great restaurants this final family trip, including Brown Derby. But one of the most memorable experiences food and wine related from this last family trip was the complimentary upgrade to concierge level at Yacht Club. 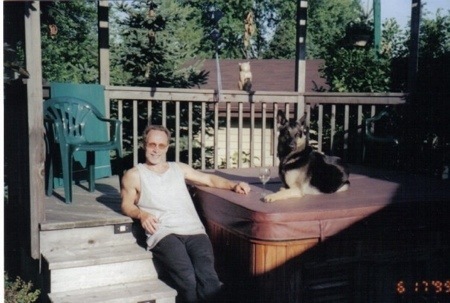 It was a fantastic surprise and I know my dad definitely enjoyed the complimentary food and beverages all day the most! 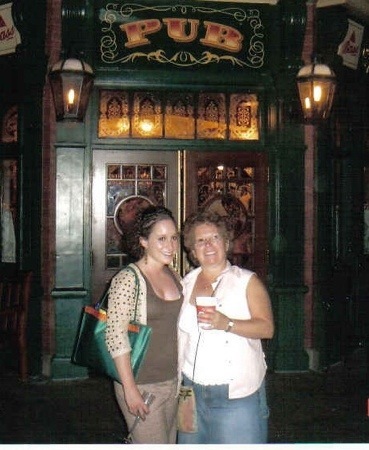 In 2006, my mom and I drank around the world-World Showcase of course! Here is one of the final stops, back at a familiar place, in front of Rose & Crown Pub. 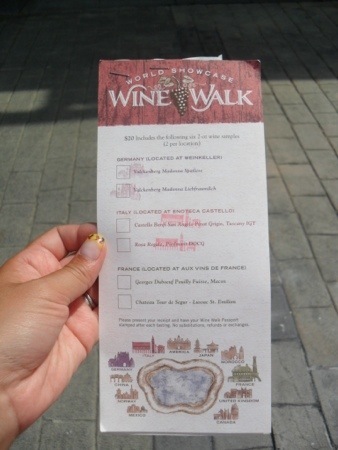 On our most recent trip together, my mom and I indulged in the best of World Showcase, by partaking in the little advertised Wine Walk.. We sampled two wines in three countries, starting with Germany. We had a great time in Germany talking with the cast member Isabel. 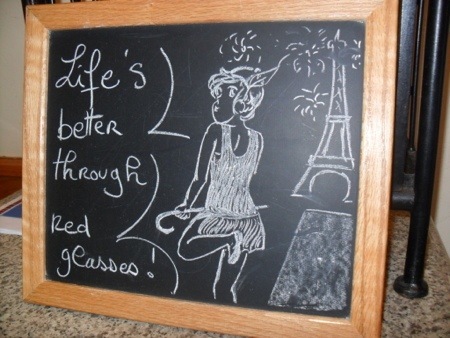 France and Italy were the other two stops on the Wine Walk. It was a small fee and totally worth doing if you go to World Showcase at a time that is not Food & Wine Festival time. The most amazing dining experience of my life has been at Victoria & Alberts.. It is a five star restaurant at Grand Floridian, and I am lucky (and spoiled enough) to have been here twice—once with Maureen and once with my mom. 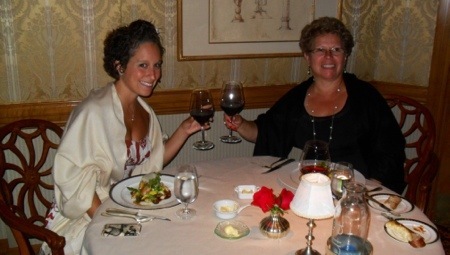 The seven course meal was paired with wine and is an absolute must for any “foodie.” It is safe to say that my mom and I have come a long way with our Disney “Wining & Dining!” Cheers!